Just wondering if there’s something Facebook doesn’t allow in their advertsing that isn’t outlined in their terms and conditions. Some obscure rule that can come back to bite you when you submit your ad for approval. I’ve not spent much time advertising on FB either, as I keep getting my ads shot down. But I’ve heard that if one uses pixels/retargeting on FB it really works. I’d be interested to know if anyone else is having any success with this. I’ve heard so many talking about Facebook ads. One person said that it really boils down to “trying” different ads and finding which works. That being said I did try one ad several months ago with no results. You are supposed to be able to target the audience of others but that didn’t seem to work. Then I tried to boost a couple of posts and it didn’t reach very many people. Is there a formula? I beginning to think not. Are there ways to embed the squeeze page from my blog into a tab on my fan page? Is there a Best Practice with regard to posting advertising videos… YouTube? Self Hosted? FB Hosted? Facebook marketing is new for me. Can you take me step-by-step through an actual FB ad campaign? I’d learn a lot seeing how it plays out–writing the ad, targeting the right people, figuring out the money part, using whatever software to set it up, analyzing what went right and wrong. 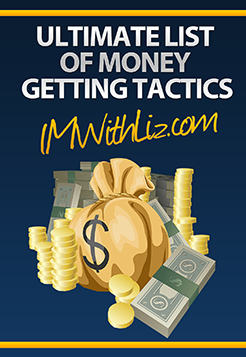 Hi Liz, i see that you need help with your facebook advertising..
I’ve heard FB wants people that respond to your ads to stay on FB and not leave their site. What’s the best way to capture leads and not run afoul of FB TOS? I’ve wanted to get started with FB advertising for quite a while. I need a step by step “how to get started” guide that I can trust, and that will keep the cost manageable as I learn and progress. Plus a how to scale up guide to keep making progress to the next level. Hi Liz. I agree with Juan. I need a step by step guide. Hopefully, the cheapest way. I am doing free advertising on FB groups right now and FB is always changing it’s algorithms. People are getting restricted from posting left and right. I would like to know where to find all of their rules on their most updated conditions because I do not see it anywhere in their terms and policies. Also, they like to block certain links that aren’t bad in anyway. I know my friend took the same link and had another link redirecting to the main link, then it worked, Can you teach me how to do that also? Thanks Liz. You are the greatest!